ATLANTA (26 September 2016) – Newly-crowned IMSA Porsche GT3 Cup Challenge USA by Yokohama Champions Kelly-Moss Road and Race will be back in action at Road Atlanta this weekend to close out the 2016 season. The weekend marks the close of another big year for the team, which has fielded winning campaigns in three different Porsche-based national championships once again in 2016. Racing at Road Atlanta is an appropriate place to close the 2016 IMSA effort, as the Georgia track was the site of the team’s first-ever race—a winning debut in IMSA Firehawk competition with a Porsche 944 in 1989. Kelly-Moss Road and Race will compete with three entries for the double-header season-finale. 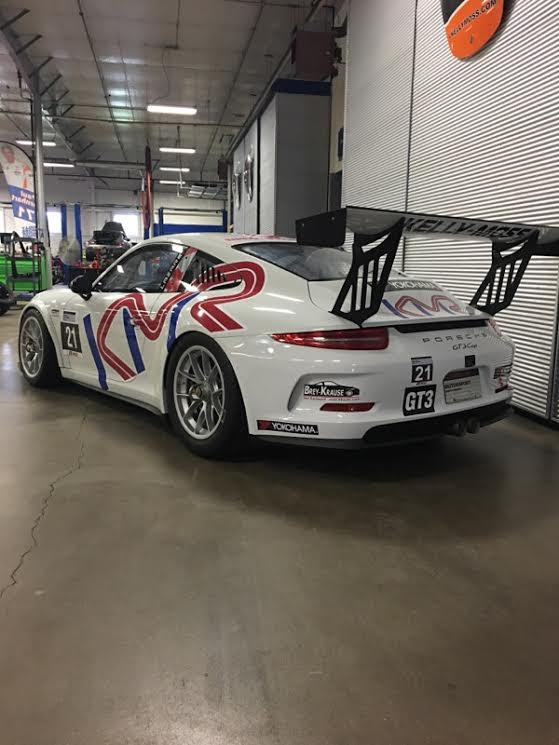 Leading the KMR charge will be 2016 IMSA Porsche GT3 Cup Challenge USA by Yokohama Driver Champion Jesse Lazare, who arrives in Atlanta with a record string of victories to his credit as he seeks a seventh straight victory in the first race of the weekend on Thursday. 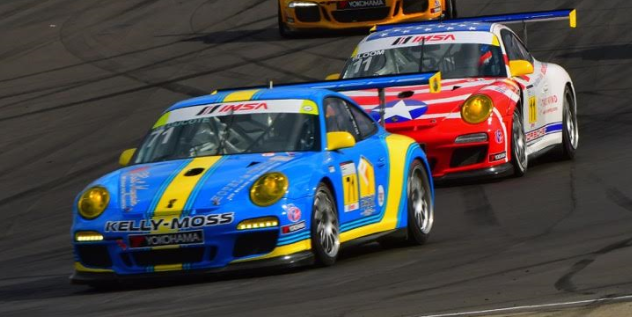 Mike Hedlund returns to IMSA action with Kelly-Moss Road and Race following his European Le Mans Series outing last weekend at Spa-Francorchamps on board a Porsche RSR 991. Running a select schedule of IMSA Porsche GT3 Cup rounds in 2016, Hedlund will look to add to his collection of top-five finishes this weekend. The Road Atlanta weekend is the third IMSA Porsche GT3 Cup outing of the season for Wayne Ducote, who scored sixth and seventh at Sebring ahead of his fourth and fifth place finishes at Watkins Glen International in July. Lazare’s No. 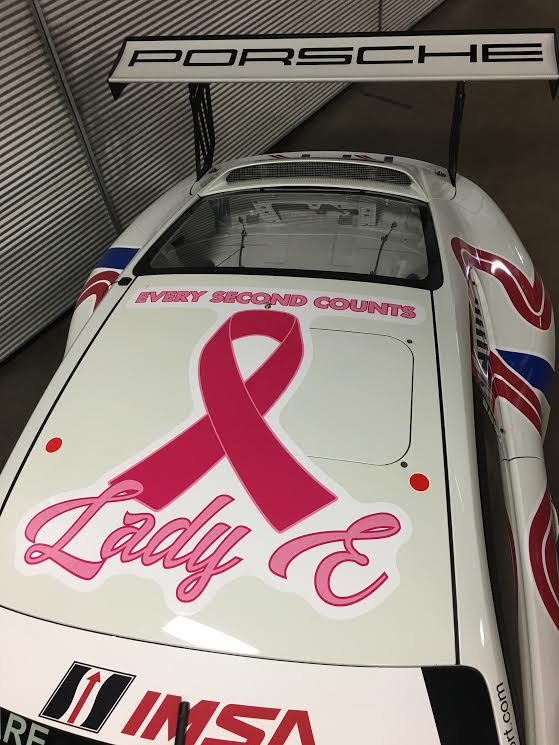 21 Porsche will feature a special livery this weekend in honor of Team Principal Jeff Stone’s wife Ekram, and her fight with breast cancer. Looking ahead to the race event, Stone is looking to finish out the season on a high note. The Road Atlanta event begins on Tuesday with a promoter test day. Official practice takes place on Wednesday ahead of qualifying and the first race of the week on Thursday. 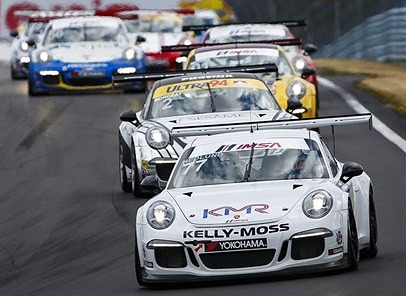 The final IMSA Porsche GT3 Cup Challenge USA by Yokohama race of the year is set for Friday.